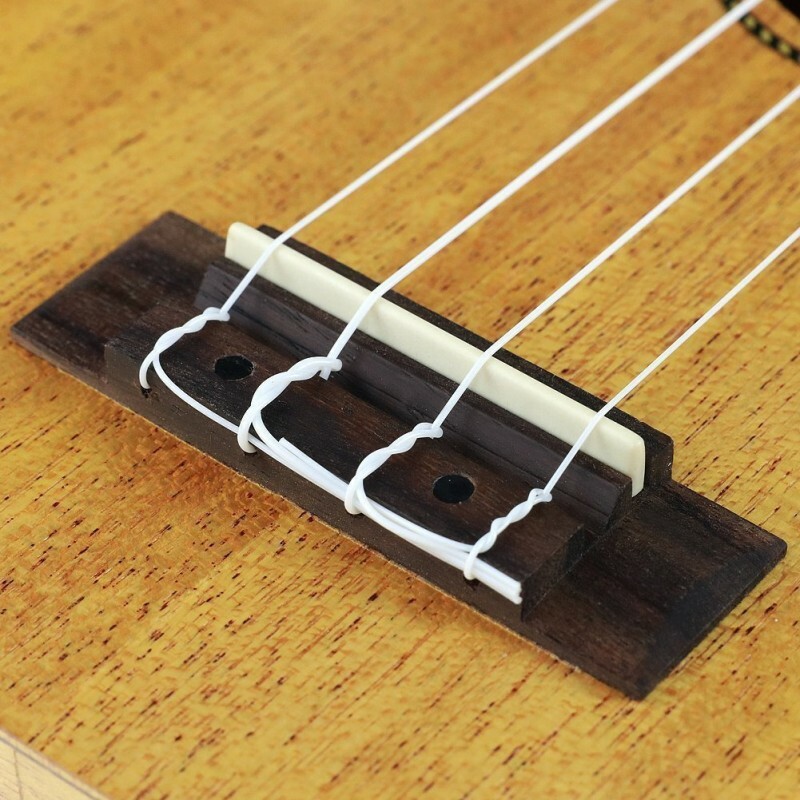 BLACK WALNUT FINGERBOARD AND BRIDGE: Rosewood is widely used in traditional ukulele fingerboard. Its grain is so nice and easy to paint. It offers full, warm, bright sound and excellent resonance. 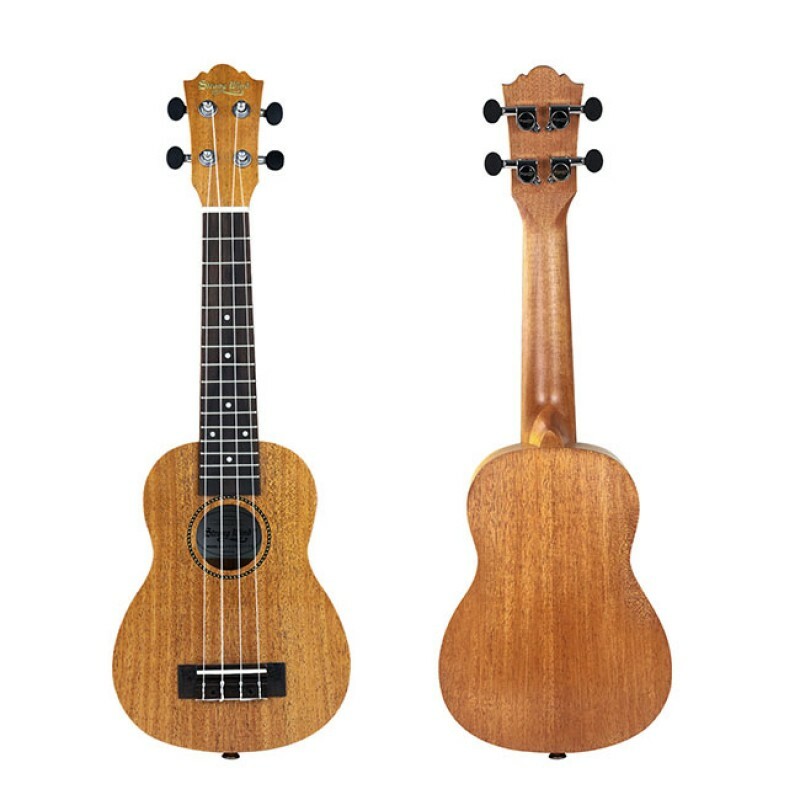 Our professional soprano ukulele provides a comfortable playing feel. 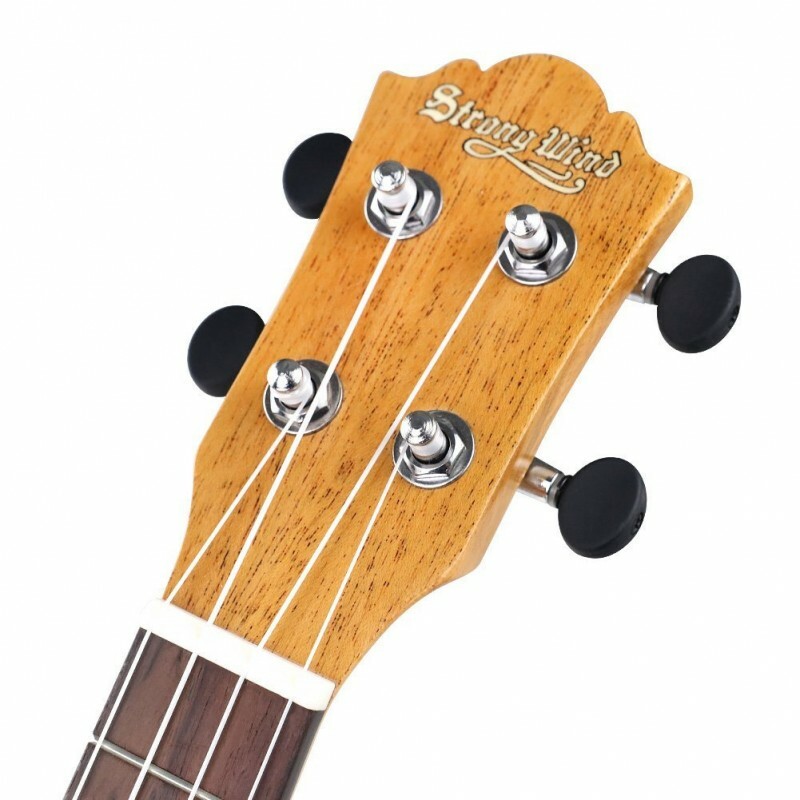 CHROME GEARED METAL TUNING HEADS: The closed chrome geared metal tuning heads keep the mahogany ukulele in tune. They do an excellent job of locking the strings and will not slide. The metal heads will not crack easily, better than plastic one. 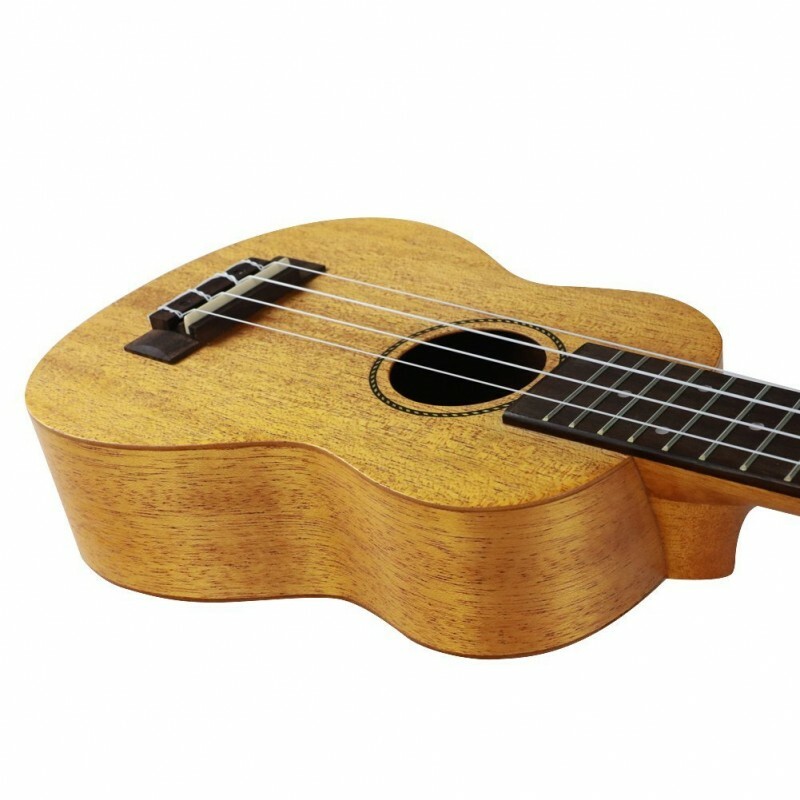 If you want to start playing musical instrument, choose our ukulele and enjoy it. REAL CATTLE BONE NUT: The cattle bone nut is much better than plastic nut. They have a great difference at tone. The plastic nut has lower density which cause lower vibration. While cattle bone nut has higher density and producing a strong tone. It is a real joy to enjoy its crisp and bright sound. It is a very good 21 inch ukulele starter kit for adult and children. 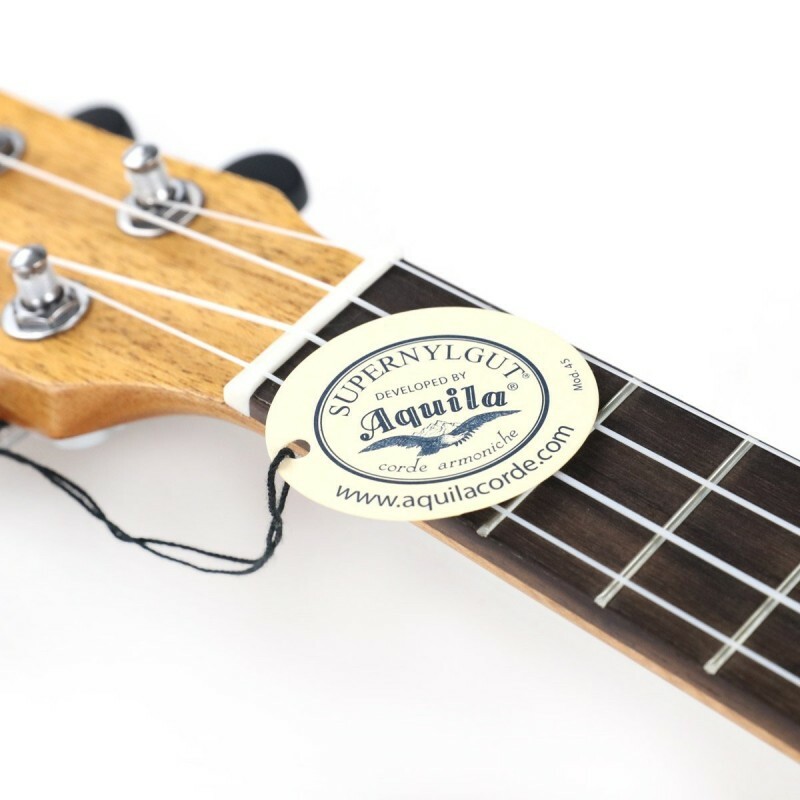 PRE-STRUNG WITH AQUILA NYLON STRINGS: It comes with premium nylon strings installed on ukulele. 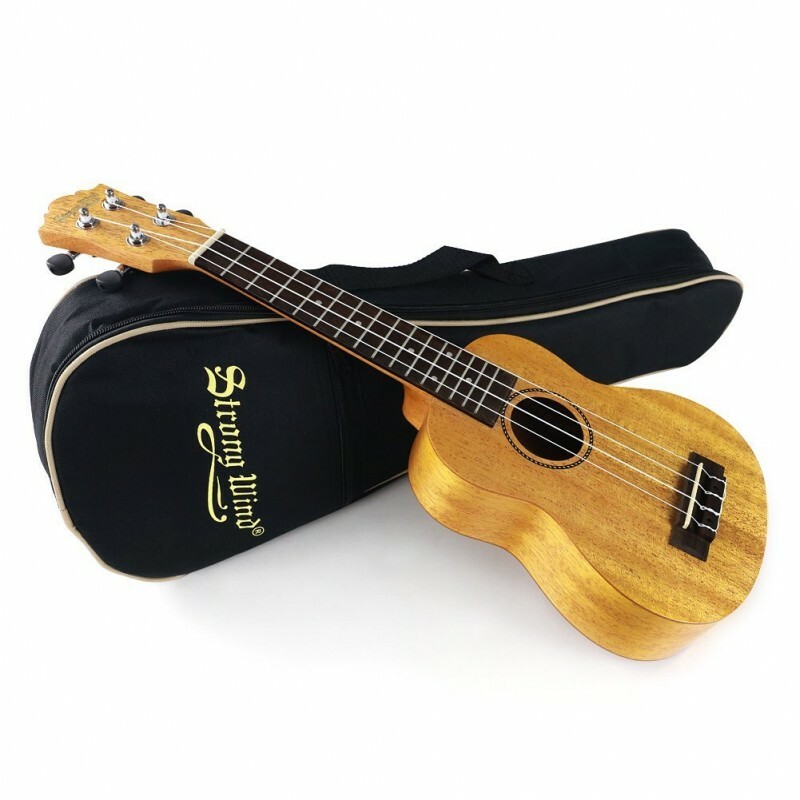 The good quality nylon strings provides a nice sound for you. 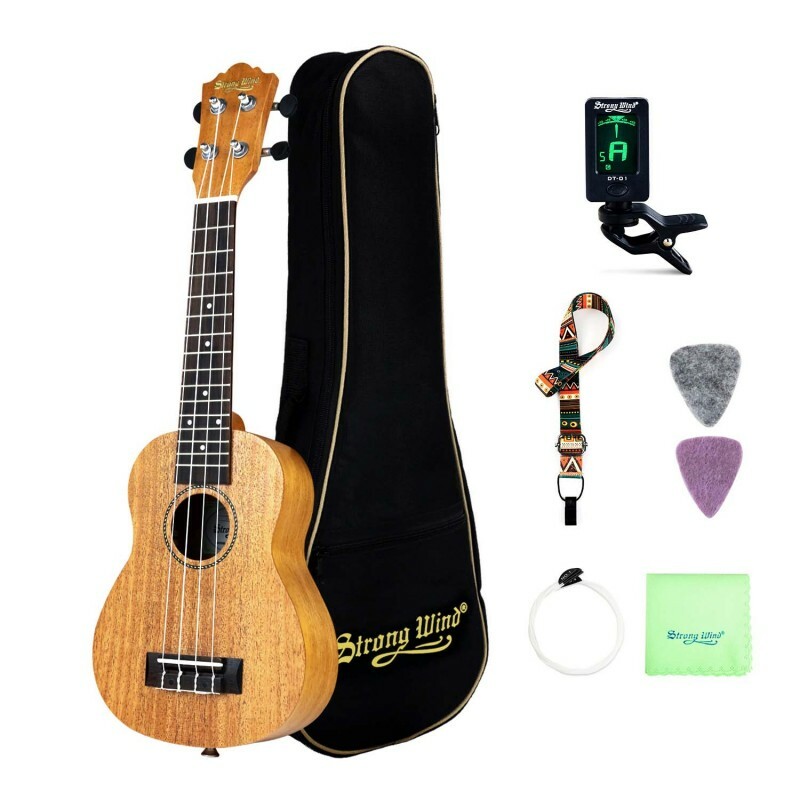 Our ukulele beginner package also comes with tuner, strap, picks, extra string, polishing cloth and gig bag.Supermusic1989 offers 1 year warranty and lifetime service.